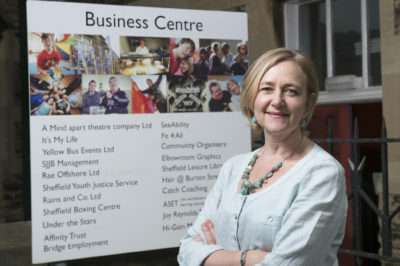 A new six-month leadership programme is helping entrepreneurs from the North of England make their community businesses more resilient, develop their skills and connect with their peers. Business leaders from a community hub serving the two highest areas of deprivation in North Tyneside, a community developer turning empty houses into homes and a community organisation supporting young people with mental health issues have been selected, among 24 finalists, to take part in the programme, led by The Royal Society for the encouragement of Arts, Manufactures and Commerce (RSA), and commissioned by Power to Change, the independent trust set up to support and grow community businesses in England. The Real Ideas Organisation (RIO) and the Sheffield University Management School will work in partnership with the RSA to deliver the six-month programme. The North of England has a thriving community business sector, and the finalists, which include Giroscope, leading the community-housing movement in this year’s capital of culture Hull, community-run Meadow Well Connected, a community hub in deprived North Shields that has helped over 250,000 people over 20 years, and the Link, a community organisation that runs mental health workshops to improve the wellbeing of young people in Redcar, reflect the diversity of the community business sector. Across England, community businesses grew by 5% in 2016 to a total of over 7,085, generated income of more than £1 billion to help make local places better, and worked with over 200,000 volunteers (1). This new leadership programme takes a new approach that aims to help the sector grow further. Alexandra House from The Link in Redcar. Caroline Gore-Booth from Giroscope in Hull. Lesley Harrison from Origin Sports in Newcastle. Mark Southwell from Oblong in Leeds. Mandi Cresswell from Meadow Well Connected in North Shields. Natalie Taylor from Wythenshawe Forum Trust in Wythenshawe. 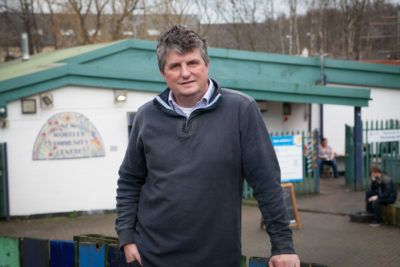 Follow Power to Change on Twitter at @peoplesbiz and visit www.thepowertochange.org.uk for the latest community business news.